The patron saint was born in Bethsaida, Galilee, now Israel. While he was revered in Scotland from around 1,000 AD, he didn’t become its official patron saint until the signing of the Declaration of Arbroath in 1320. He also the patron saint of Greece, Russia, Italy’s Amalfi and Barbados. As well as the patron saint of singers, spinsters, maidens, fishmongers, fishermen, women wanting to be mothers, gout and sore throats. 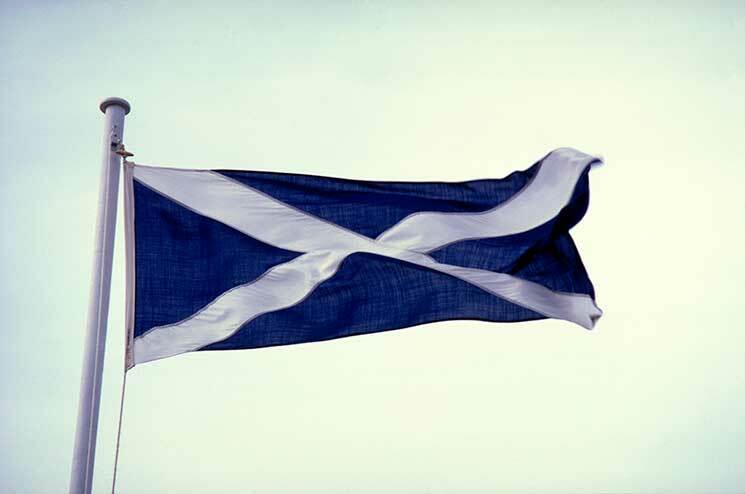 St Andrew is also the patron saint of the Order of the Thistle, one of the highest ranks of chivalry in the world, second only to the Order of the Garter. Andrew was a fisherman before he and his brother Simon Peter became two of the 12 disciples of Jesus. He was baptised by John the Baptist and was the first disciple of Jesus. In the Greek Orthodox tradition he is known as “Prōtoklētos” “the first-called”. St Andrew was crucified in Greece, but his remains were moved to Constantinople hundreds of years later. In the 13th Century they were moved again, this time to Amalfi in Italy. Most of him is still there today. The presence of relics of St Andrew, including a tooth, kneecap, arm and finger bone, meant St Andrew’s became a popular medieval pilgrimage site until the 16th century – when they were destroyed in the Scottish Reformation. In 1870, the Archbishop of Amalfi sent an apparent piece of the saint’s shoulder blade to Scotland, where it has since been stored in St Mary’s Cathedral in Edinburgh. Pope Paul VI gave Scotland more bits in 1969. Legend has it that St Andrew’s first relics ended up in Scotland thanks to St Rule or St Regulus, a Greek monk who had a vision in which he was told to take them to the ends of the earth for safekeeping. His journey took him to the shores of Fife, where St Andrews now stands.